SLIKstitches: To knit or knot to knit? 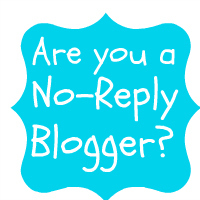 Has anyone else had problem with Blogger refusing to accept a photo as the limit had been exceeded? I just had to delete a whole load of photos from a Picassa account (that I didn't know I had) to be able to load this photo! Hi Benta! That is so beautiful blanket - I love those colours and squares are my most favourite pattern! I have just told to my dear friend to make a baby blanket like that for her first grand child (expected in spring). I hope you find out about the photos. It is so frustrating to try to work with the computer and not knowing enough. Flickr said to me last week that if I want to add more photos, I need to pay, but I guess it was only for that month and now again I can load more photos. I have wordpress and my problem is that I never know when I publish my post, if it will appear all or not, and I don't have any idea where is the problem. That is just terrible when I have loaded many photos and wrote lot of text and it just disappears! Good Luck for us with these magical internet things! Any way we are doing quite well! ... forgot to say that I wanted to make a mosaic with Picassa but didn't know how to. When I had load the programm it changed also the way how I can watch my phtos from my computer. I deleted the programm away! That is going to be a cosy beauty of a blanket! I've never thought about knitting just squares and then sewing them together. It really looks cool, tho! Hate to speak too soon but I'm okay with Picasa and use it a lot! I always downsize my pictures before exporting them to my blog too. Love the blanket and thank you for the lovely bag which arrived this afternoon, gorgeous. re: blogger and photo limit. This happened to me this summer. after an hour searching the web I found a site that explained what happened in plain english :( - I didn't bookmark the link - sorry. Essentially, blogger has a space limit for photo storage and you now need to pay for more. I bought the minimum required, paid my $5 and I was back in the business of publishing my blog. No answers as to how long my new 'photo space' will last but the five bucks seemed reasonable since blogger is free. I too downsize my photos before putting them on blogger or Flickr but did that so they would load quicker when someone was looking at my blog - didn't know about limits! 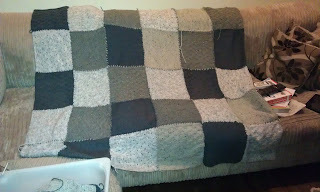 Great blanket Benta - very snuggly - at last posted a thank you to you on my blog! Sorry I took so long!